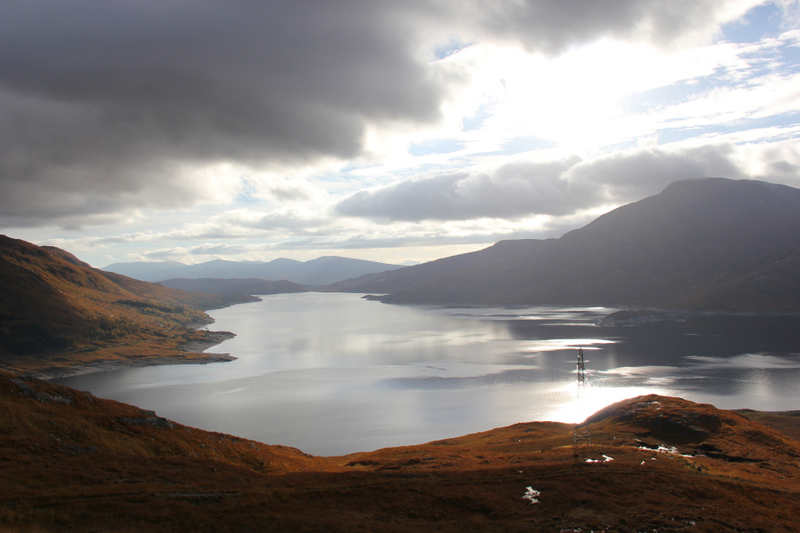 I set out yesterday, with thirty-three other members and guests of the Moray Mountaineering Club, on a Bus Meet to Loch Quoich. After picking up members in Elgin, Forres and Inverness the bus continued on to eventually park up for the day beside the Glen Quoich bridge at NH016040. 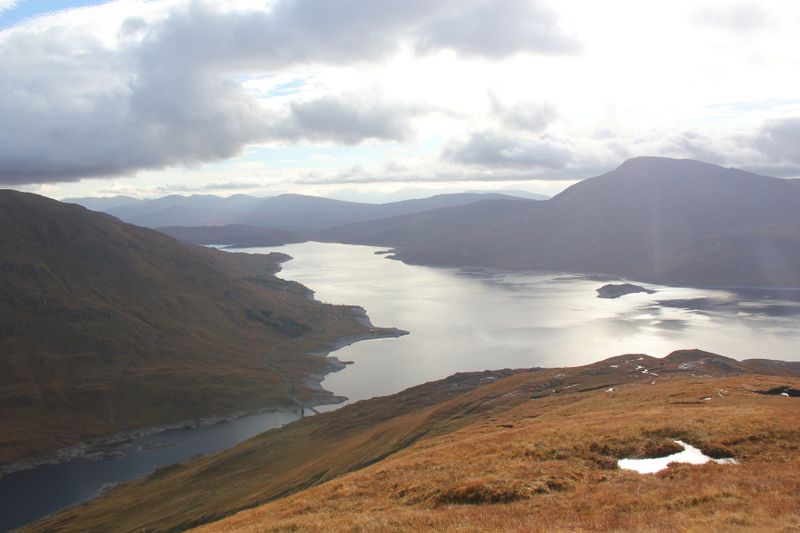 Members and guests were dropped-off at various points along the narrow road leading to Kinloch Hourn to undertake various objectives including Sgurr Choinnich, Gleouraich and Spidean Mialach, Gairich, Sgurr an Fhuarain, Sgurr a’Mhaoraich and Sgurr nan Eugallt. The bus got turned circa 1.5km beyond the bridge, which is from where we started our walk. 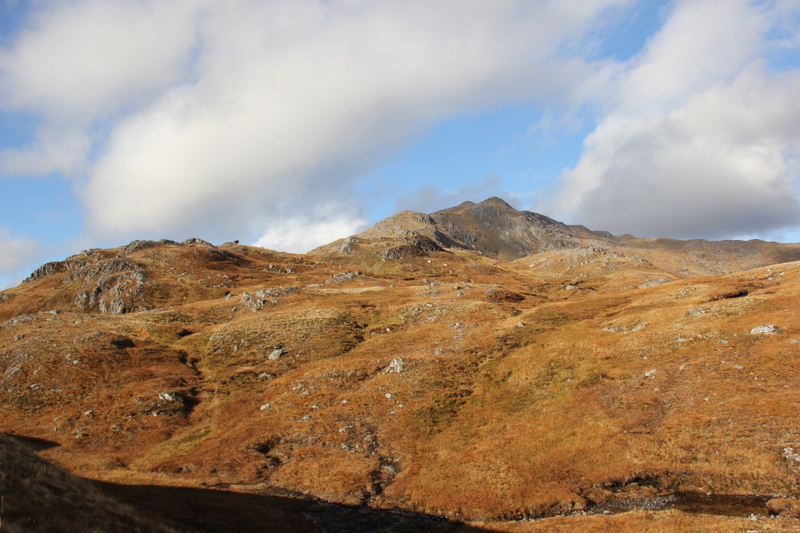 We walked a short distance back along the road towards the bridge to find the start of the excellent stalker’s path that makes its way up the Bac nan Canaichean ridge of Sgurr a’Mhaoraich. 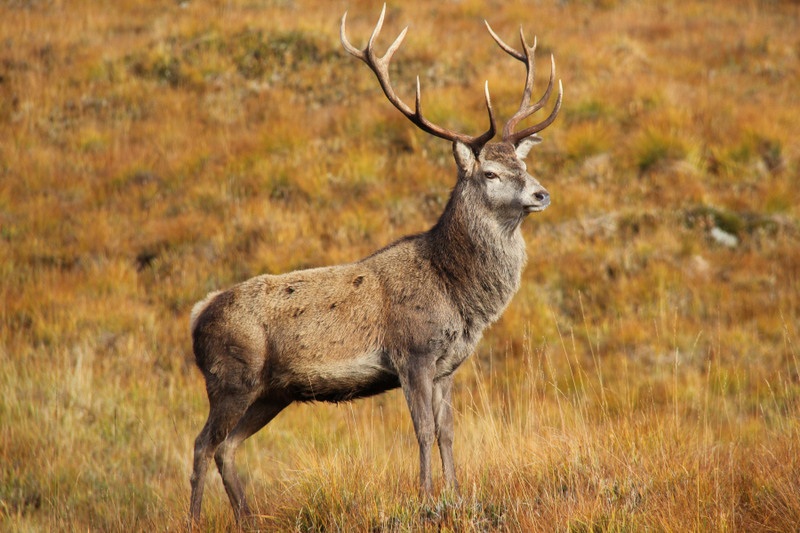 As we walked along the road we passed numerous road-side stags. 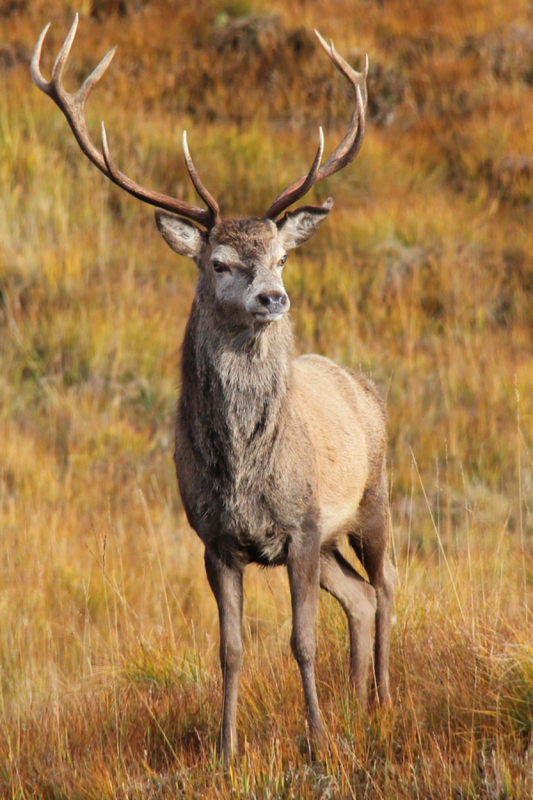 These stags seemed used to posing to have their photo taken. 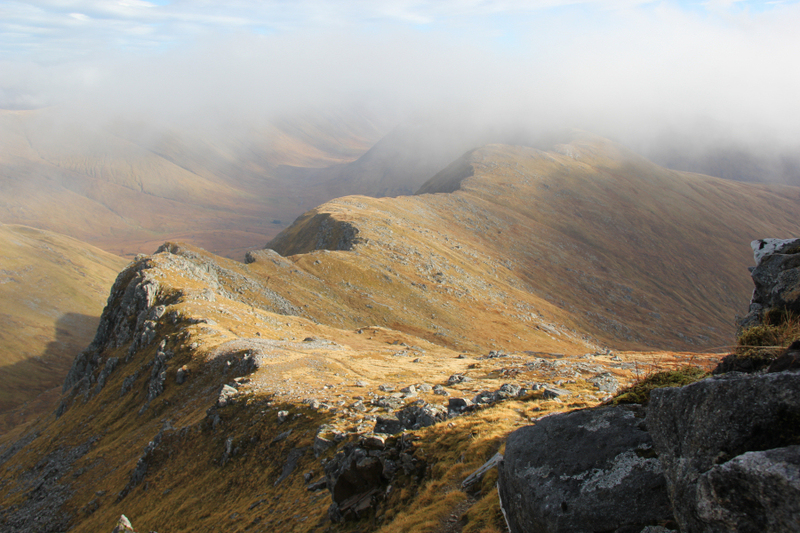 I set off up the stalker’s path with Gregor, Graeme and Donnie who were superb company throughout the day. The early morning views were pretty-good. 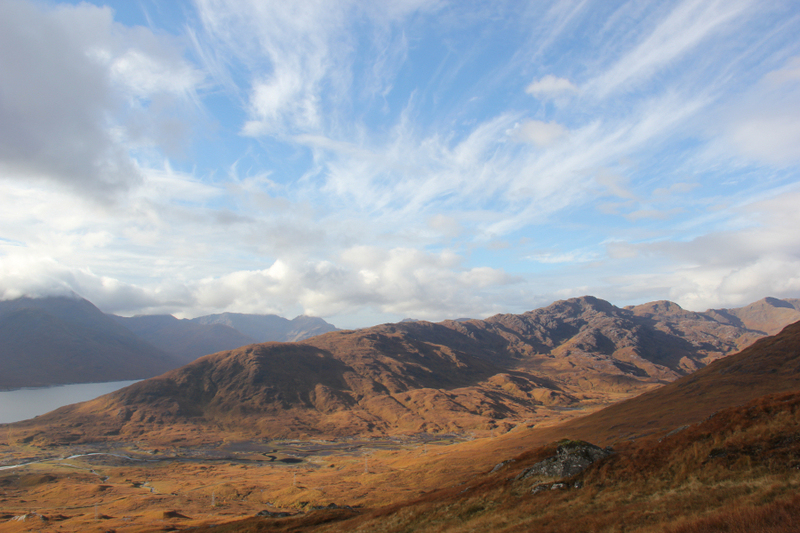 The sun was shining and the weather was set to improve as the day went on. 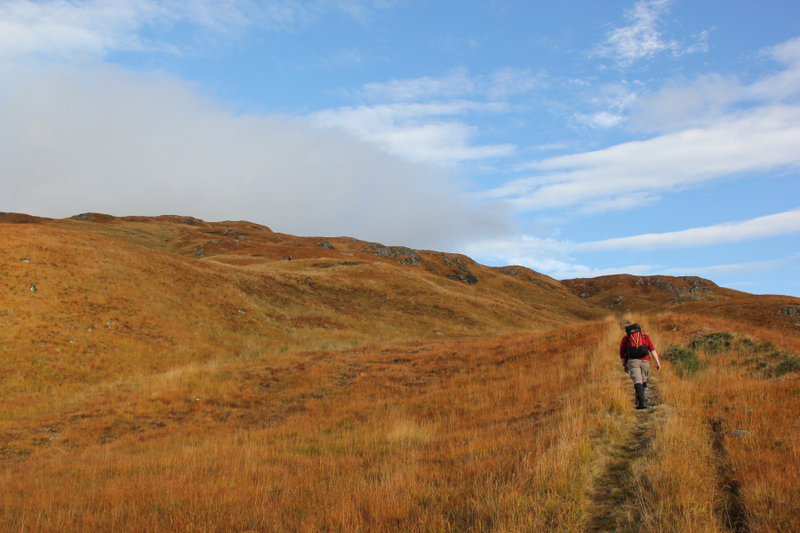 The good stalker’s path made for fast progress up the hill. 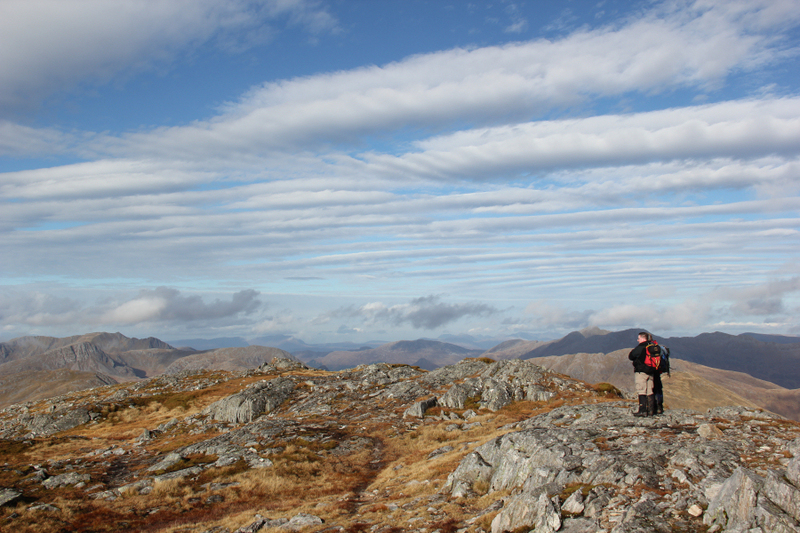 As we made our way up the hill, Donnie spotted some Club members on the ridge of Gleoraich. I was able to see them through my camera zoom lens. This got us onto the conversation about needing glasses . 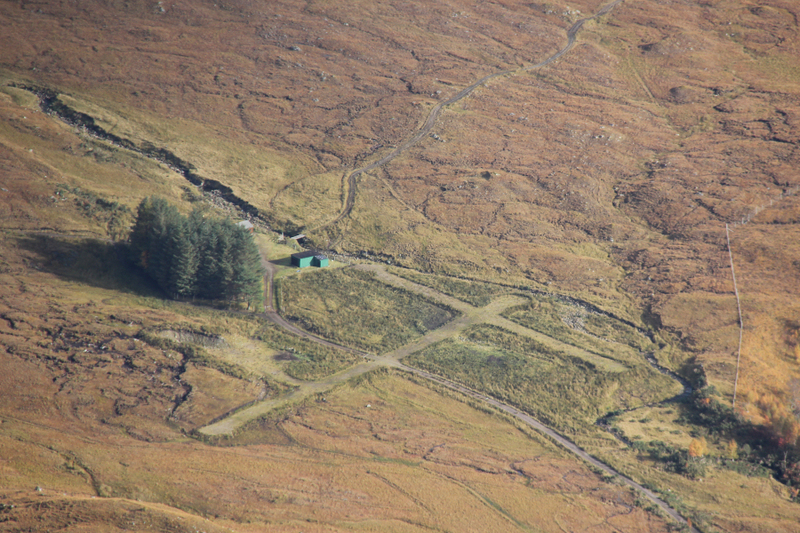 During the ascent, we spotted what would appear to be a small landing strip, down in Glen Quoich. 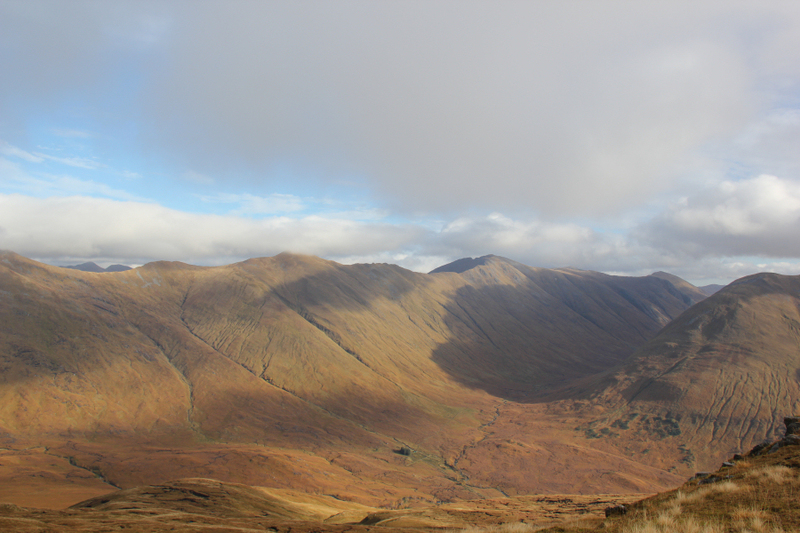 After about an hour into the walk, the cloud began to lift above the summits providing views across to the South Glen Shiel ridge. 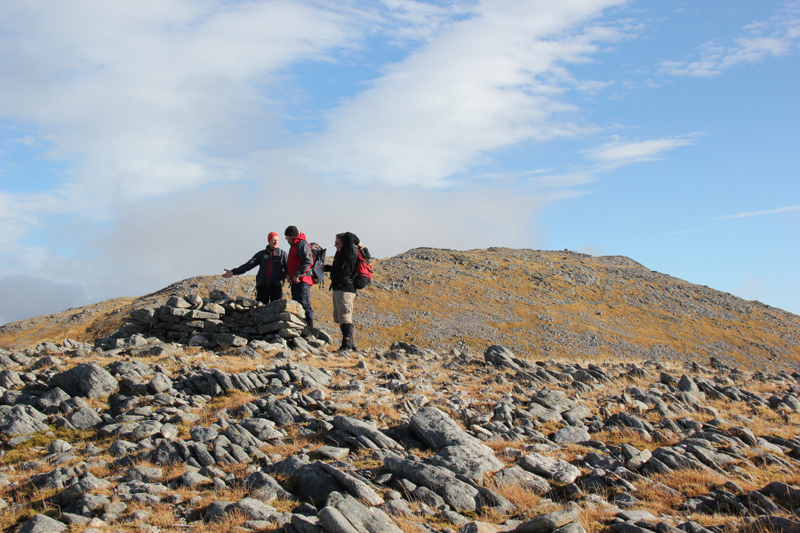 After passing an area with a number of massive schist boulders, we reached and followed the crest of the ridge. 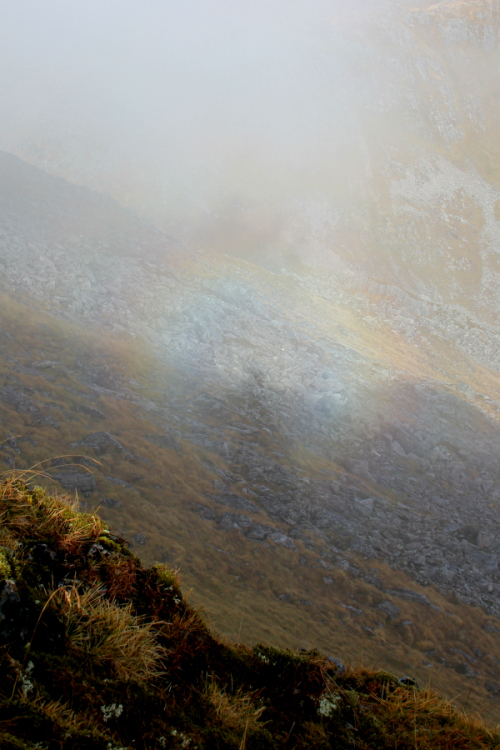 A short distance below the summit, Donnie advised that the conditions were ideal for Brocken Spectres. 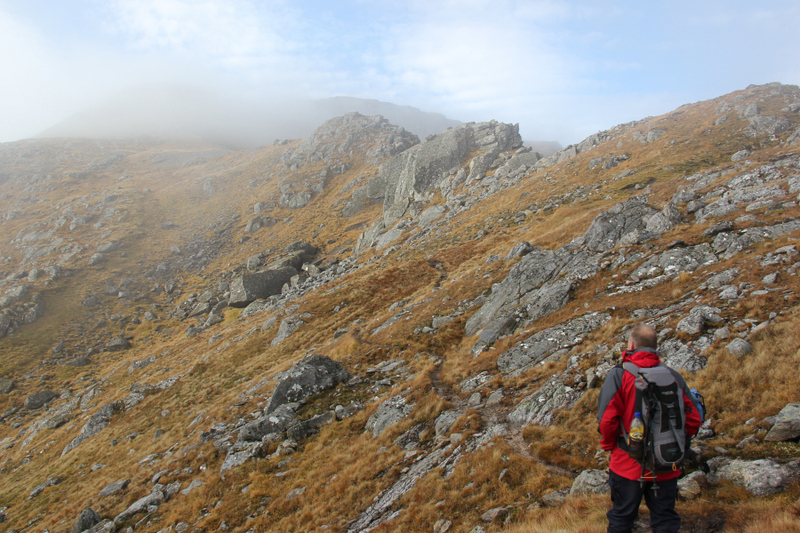 He was absolutely right as we saw several during the final ascent to the summit . 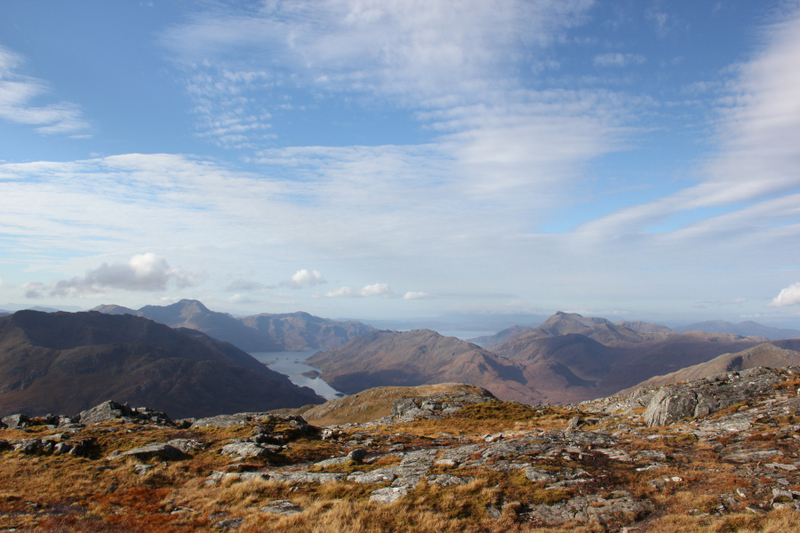 We had a good break at the summit for a bite to eat and to take in the views … and what views! 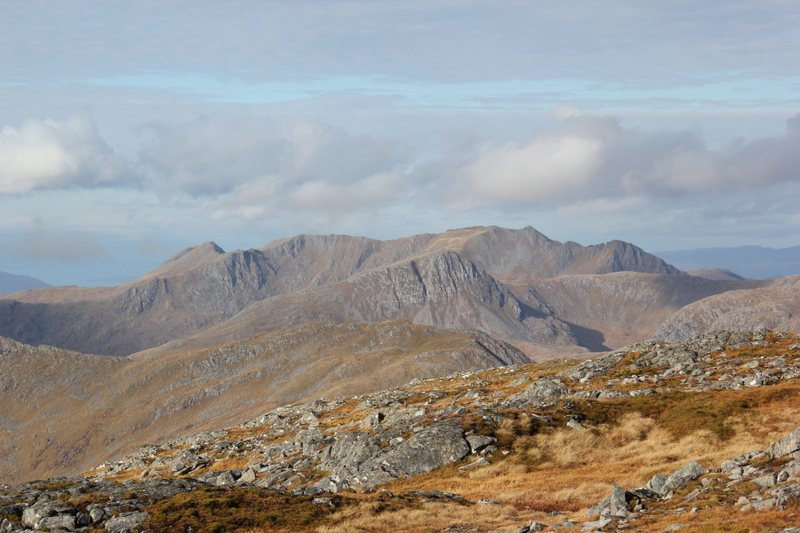 From the summit, we could make out and name all the local hills including the Saddle Sgurr na Sgine, Beinn Sgritheall, Ladhar Bheinn, Gairich, Gleouraich, etc. 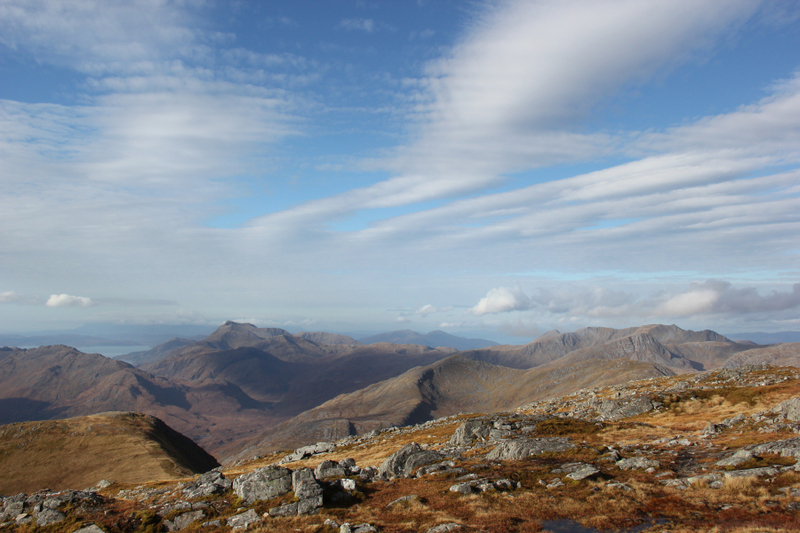 The visibility was excellent so we could also see An Sgurr on the Isle of Eigg and as far North as the Torridon hills. 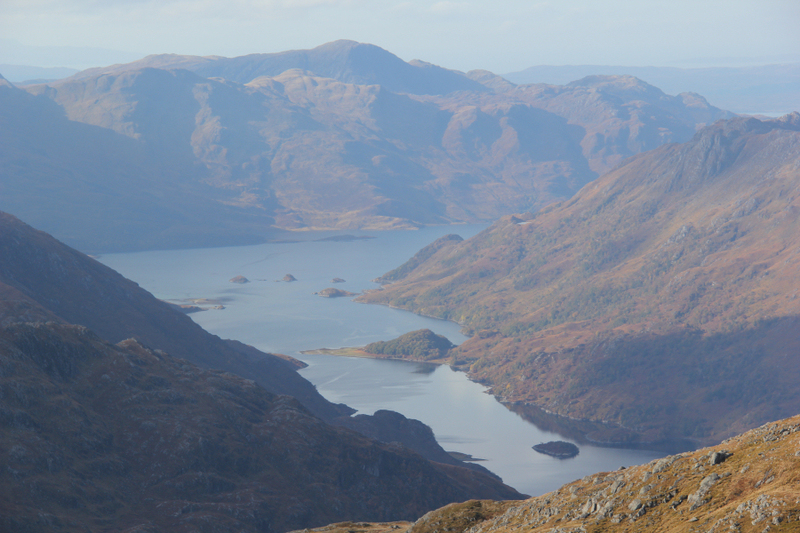 The summit of this hill provides great views along the length of Loch Hourn towards Barrisdale. 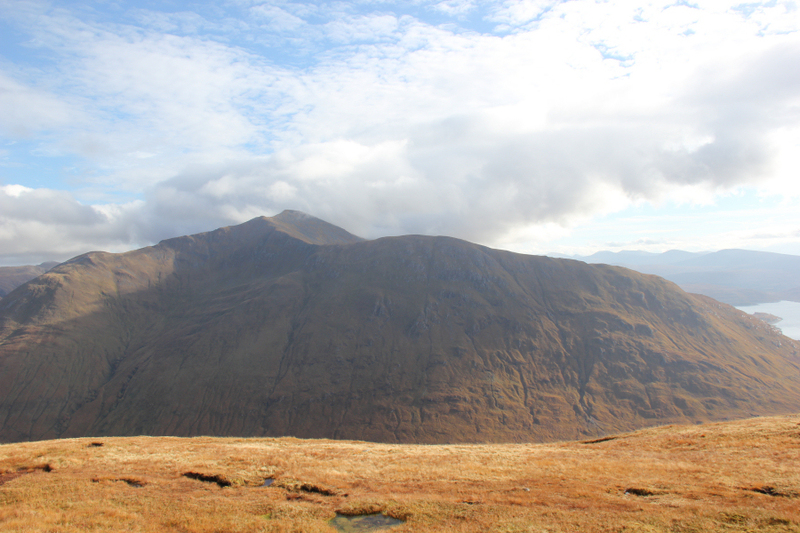 At the summit, I suggested that I would like to go on to ascend Sgurr a’Mhaoraich Beag which is a Munro Top. The others were happy to join me . 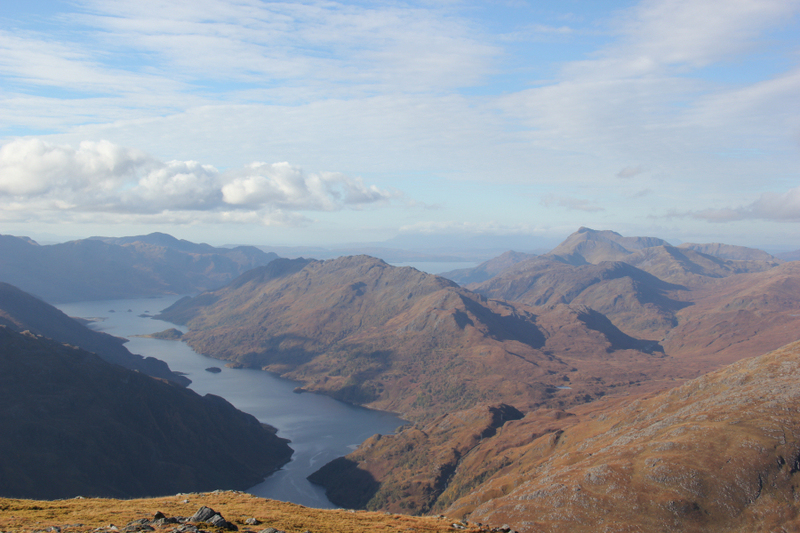 It didn’t take long to reach the summit of Sgurr a’Mhaoraich Beag from where there are even better views down to Loch Hourn. 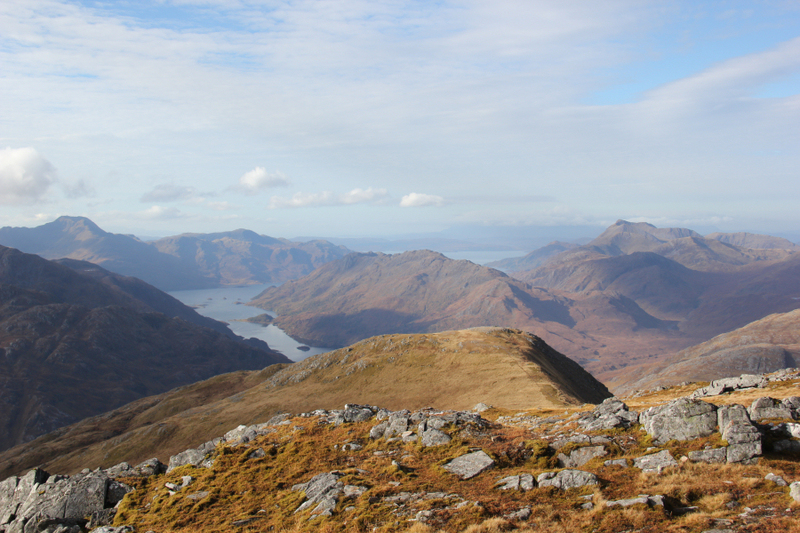 From Sgurr a’Mhaoraich Beag we returned to the col between it and Sgurr a’Mhaoraich. 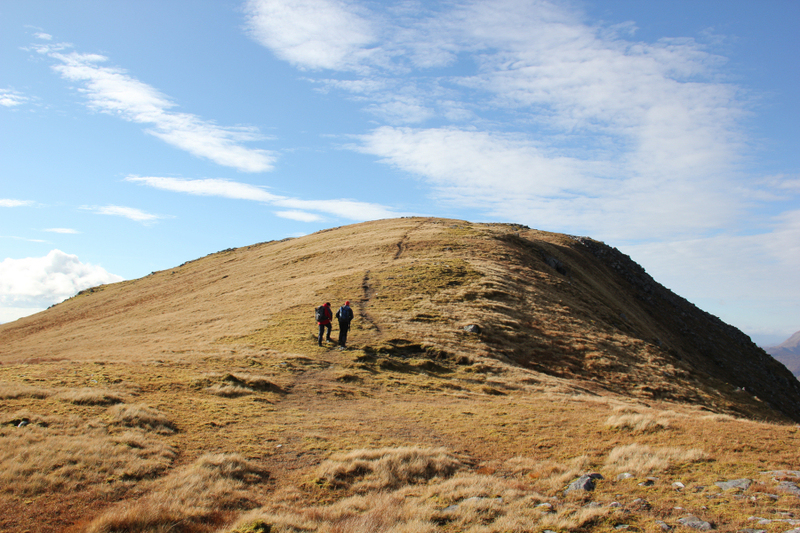 Instead of re-ascending Sgurr a’Mhaoraich we decided to skirt round the side of the hill to reach the South ridge of the hill, which we would follow back to the road. During the descent we spotted a huge bird flying high directly above us. 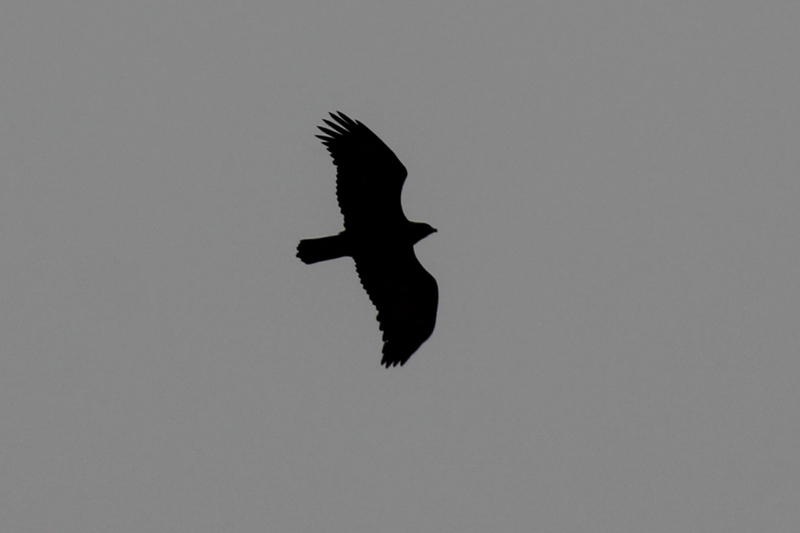 I’m pretty-sure it was a Golden Eagle as it was very large and had quite wide wings, compared with a buzzard. 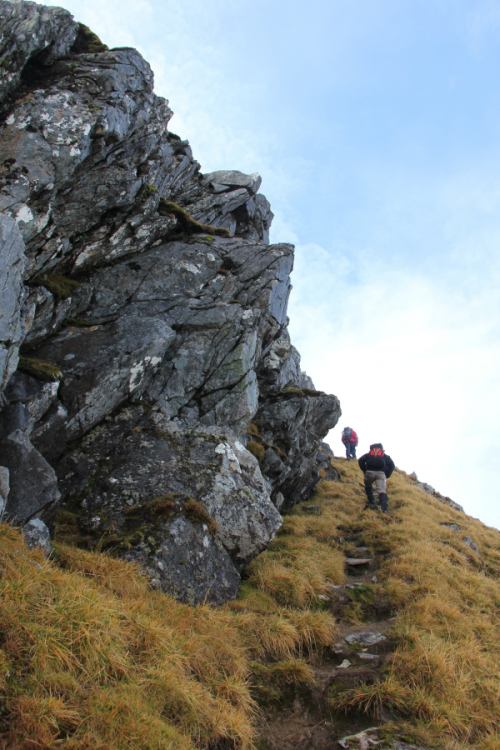 We followed a path much of the way down the South ridge of Sgurr a’Mhaoraich which avoided the various rocky outcrops on this ridge. 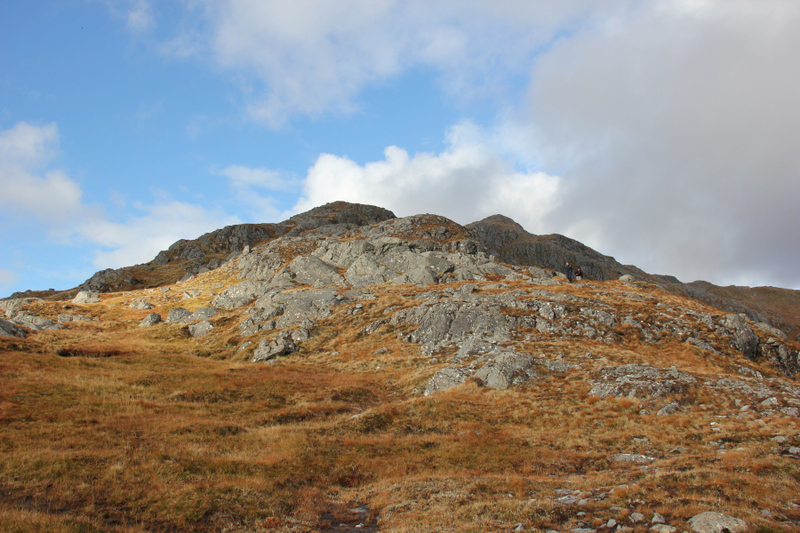 On reaching the road, we walked just over two kilometres back along the road to reach the bus which was parked-up at the bridge. 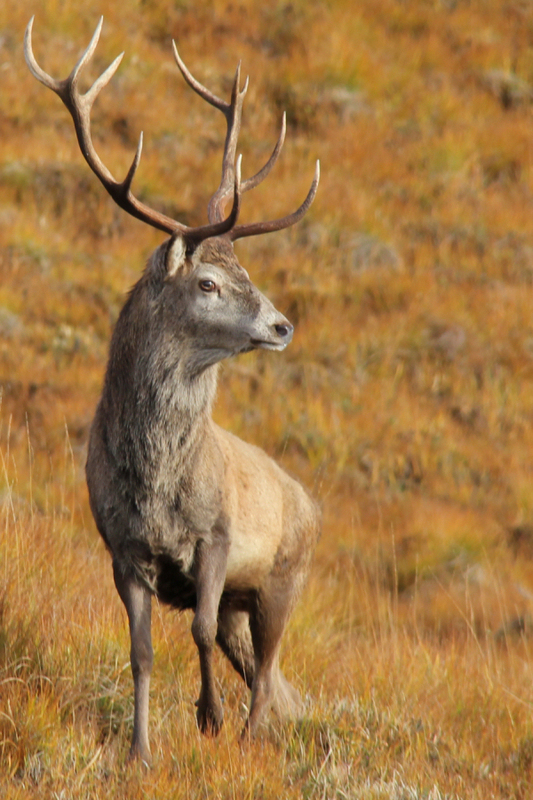 We were again treated to close-up views of a number of stags at the roadside. Everyone made it back to the bus safely and pleased with their day out. We managed to squeeze in just enough time for a quick pint on the way back to get the bus back on schedule. A superb day out.